Niagara’s live music events happening all summer long. 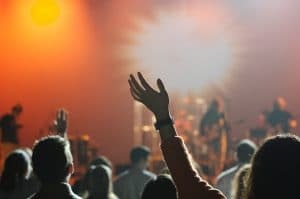 Summer’s finally here and it’s the perfect time to catch amazing live music events in one-of-a-kind venues all around Niagara. Here are 3 Niagara music events that you won’t want to miss! The Coca Cola Concert Series is back for another year in Queen Victoria Park, featuring live musical performances from local Niagara artists across a variety of exciting genres. You can catch these free live performances on select dates from June 1st – September 3rd at 8pm, which finish with a spectacular fireworks show over Niagara Falls at 10pm. This year’s series will kick off with performances from Graywater, Gravely James, Chelsea Crites, The Treetops, Jessica Wilson, Ear Candy, and more! Jackson-Triggs Winery in Niagara-on-the-Lake is once again hosting their popular Summer Concert Series from June through September, featuring incredible live musical performances in a beautiful outdoor amphitheatre in the vineyard. Concert Only and Concert & Cellar Dinner tickets are both available. For the full lineup and to purchase tickets, visit http://www.greatestatesniagara.com/Store/Amphitheatre-Tickets. Grammy Award-winning country music duo Sugarland is coming to Fallsview Casino Resort on July 6th and 7th, performing hits like Stuck Like Glue, Stay, All I Want to Do, Baby Girl, It Happens, and more. Tickets start at $150 and can be purchased at Fallsview Casino’s Resort’s Box Office or online.